In the late 1990s, Germany’s Sound Performance Labs (SPL) introduced the Transient Designer, which has become a studio staple worldwide for altering audio sources’ attack and decay. Essentially it is a device that can enhance or lessen the sharpness of a source’s attack—such as a stick hit, guitar pick, or piano strike—and it can simultaneously exaggerate or constrain the decay of a note or the boom of a drum. It can even alter the decay of sounds in your room mics! Available over the years as 2- and 4-channel rack units, RackPack module, and authorized plug-in for native (Plugin Alliance) and Universal Audio UAD-2 platforms, the newest Transient Designer is the TDx, a single channel of Transient Designer in the API 500 Series format. TDx is a single-space module finished in matte black. It features four buttery smooth black knobs: Attack (±15 dB) and Sustain (±24 dB), Output Gain (attenuation only, from –80 dB to 0), and—new to the TDx—a wet/dry Mix control. There’s also a yellow signal LED and an On/Bypass switch. 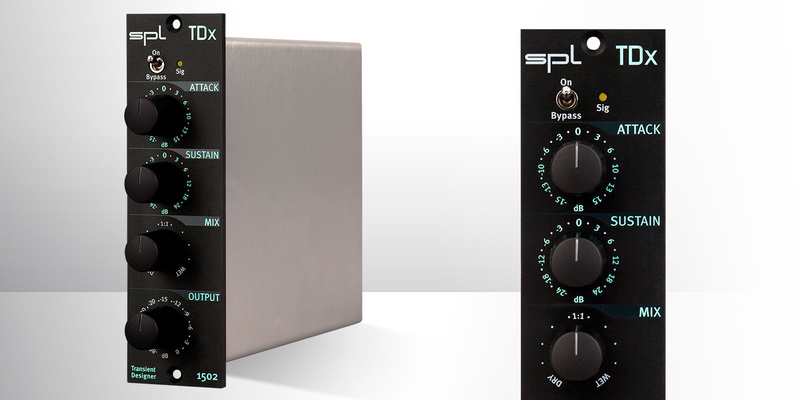 SPL notes that the TDx circuitry has been expanded over the original and uses SPL’s Differential Envelope Technology (DET). 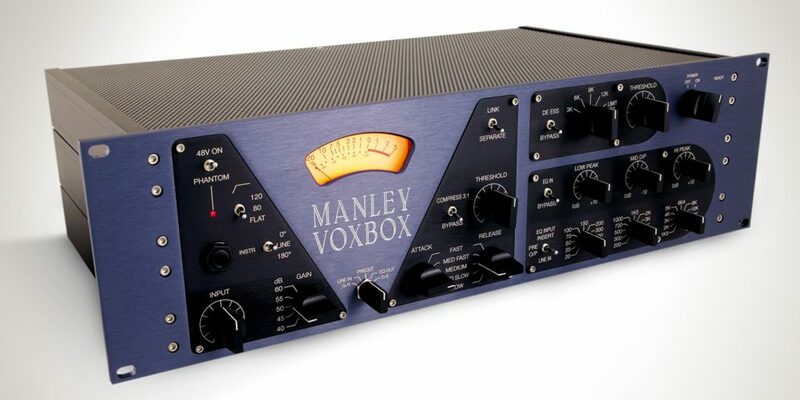 Its maximum input and output levels are +22 dBu and it has a 10 Hz–100 kHz frequency range with –93 dBu noise, 116 dB dynamic range, and 0.03% THD (at 0 dBu input level, unity gain). I tested the TDx in a Radial Engineering Workhorse enclosure (reviewed October 2011) as well as an API 8-Slot lunchbox® (reviewed December 2014) and it worked perfectly in both. 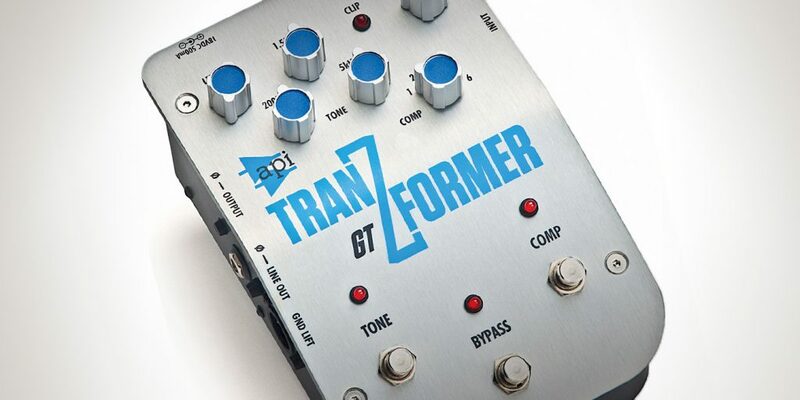 I have been using the plug-in versions of the Transient Designer for years, but I don’t own the hardware. My first reaction is the hardware TDx is much more gentle than the plug-in; its sound is less “effected” and there is smoother control. 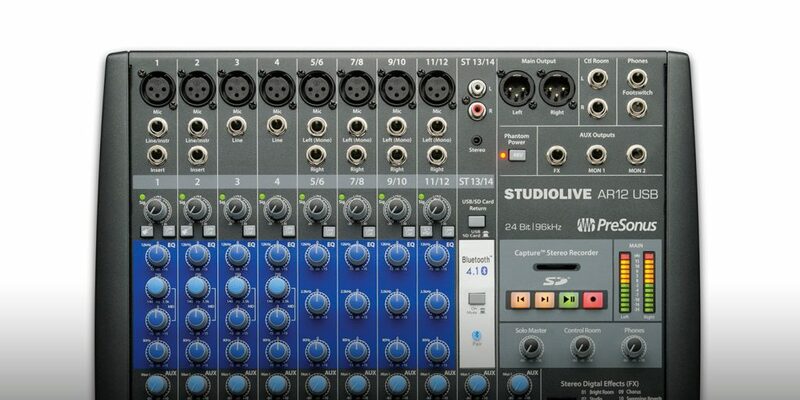 The software, which does sound great, kicks in much faster and little knob turns are much more noticeable. I often find this to be the case when comparing software to hardware, and the difference can also be due to the level differences in the analog vs. internal busing. For initial setup, as with compression, I will push a Transient Designer in either direction (depending on what I am going for) until it goes way over the top, and then dial it back from there until it sits comfortably. While the TDx can go whole hog and push sounds to extremes, it’s also very useful for adding or subtracting just a tickle of attack and sustain to help sounds sit in the mix. The TDx is quite sonically transparent; the lows stay nice and full and the highs are open and clean. The TDx can make a kick drum punch with ease or make it grow gently in size with more boom. On snare it can add pop and attack, and lessen ring. Rather than a gate, it acts more like a moon gel or damping ring when you pull back on the sustain. I recorded one snare track with the top and bottom mics summed to one track, compressed on the way in and slightly overdriven. We loved this dirty massive snare sound during tracking, but at mix time it was a bit too thick and dirty, and many tight snare rolls were lost. We tried EQ, but that literally did not cut it. I set the TDx with Attack at 3 o’clock and Sustain at 10 o’clock to highlight attack and cut some ringing, then set Mix to 2 o’clock—not fully wet, but just enough so the stick hits were tighter and more noticeable in the vibey snare. It sounded great, with no additional EQ or compression necessary. I got similar results on a picked punk-style bass, where the TDx added some extra click and aggression to the pick hitting the strings. I also pushed the Sustain over to add a little more low-end ringing in the notes, and the Mix knob was perfect to blend in the added colors to taste. On acoustic guitar, the TDx was nice for adding definition to the strumming of a rhythm track. Be careful, though—this is one sound that can get a little too over the top and unnatural quickly if pushed too far. The attack will sound aggressive, choked and artificial. Lastly I used it on a Fender Jazzmaster through a vintage Fender Princeton amp with tremolo. Here I added a touch of attack to highlight the picking of the notes, as well as make the tremolo attack more defined. I also pushed the sustain just to the point of unnaturalness and then brought it back 10%. Last I again used the Mix control to tuck it just under the sound of the original track. That subtle blending helped pop the guitar out of the mix with zero additional compression and just a touch of high end EQ. This is a great effect to reach for before you eq or compress a track. It may not always work, but when it does, it’s magically natural and clean-sounding. I can’t believe there’s never been a Mix knob on a Transient Designer before! I have found it essential in my use and enjoyment of this device. It’s a simple addition that made an already beloved device even better. This is a great addition to any 500 Series arsenal that won’t break the bank!